作者: The AsiaN Editor on 10 July , 2018. 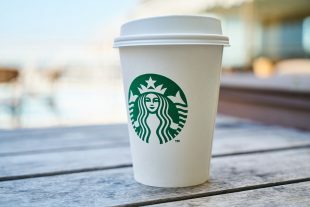 Starbucks Coffee Korea Co.declared it will introduce paper straws for a test run this year to replace plastic straws as part of its efforts to tackle pollution from plastic waste. The latest decision is part of Starbucks Coffee Co.’s broader move to eliminate single-use plastic straws from its 28,000 stores worldwide by 2020. In a statement, the global coffee giant said it expects the move will eliminate more than 1 billion plastic straws per year from all of its stores. Around 180 million plastic straws are used at the coffee chain in South Korea every year, according to Starbucks Coffee Korea. The company has developed a strawless lid which will become its standard for all iced beverages. It is currently used in the United States and Canada for some of its products.